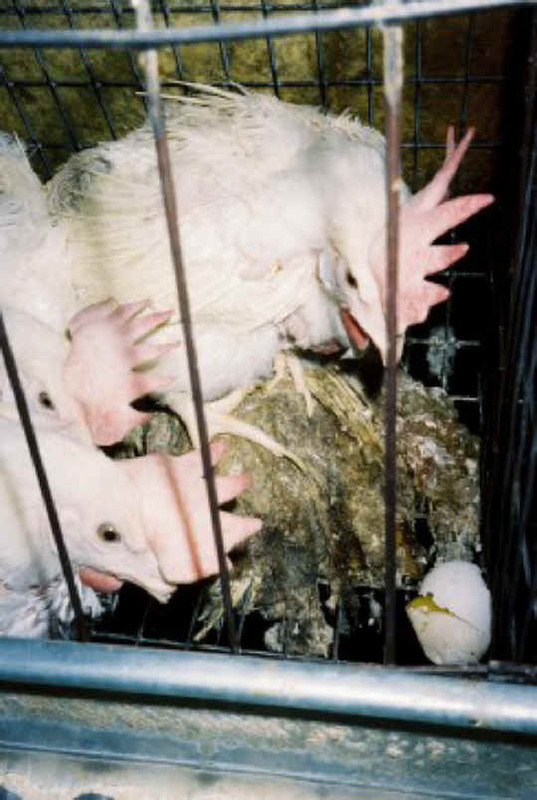 (Chicken Exploitation - Egg Production - 53) Laying hens are forced to stand every moment of every day on wire bottom cages which hurt their feet. When a cage mate dies, the live chickens will stand on top of the dead one to relieve the pain. From the condition of dead chicken, she has obviously been left in the cage for a long time.